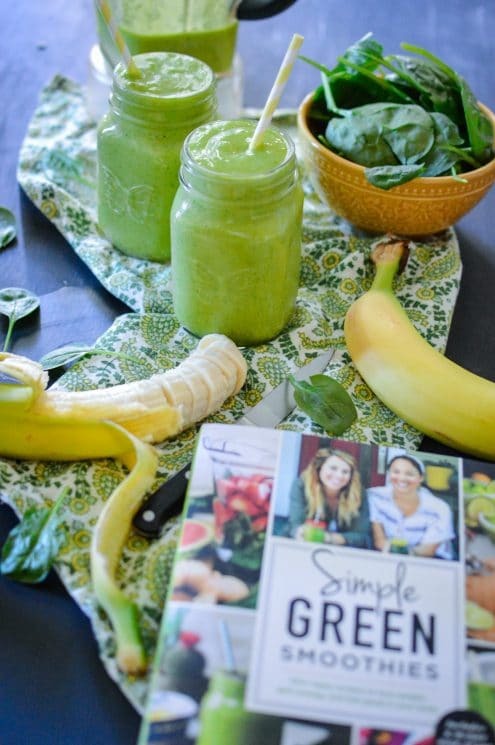 What I found in Simple Green Smoothies went far beyond your typical cookbook. At first glance, I was so entranced by all the delicious looking pictures that I almost wanted to stick a straw into the pages of the book. But, once I wiped the drool off of my pretty new cookbook, I started to read and discovered that that I was in store for so much more than just a few great recipes. Jen and Jadah’s stories of smoothies being the catalyst for helping them find their way to a healthy lifestyle for themselves and their families reminded my of my own journey in so many ways, helping me to quickly feel connected to them. I also adored how Jen and Jadah didn’t simply share smoothie recipes, but tips and tricks for how to become a smoothie-making pro! 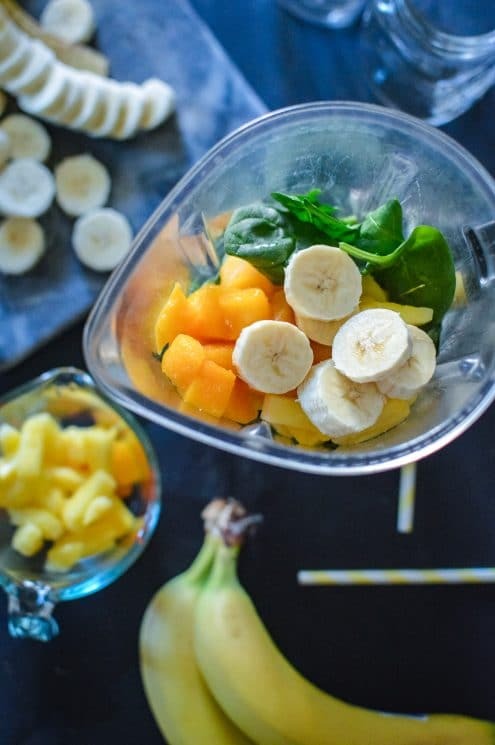 Everything (and I do mean everything) was covered, from how to properly load your blender to make a smoothie to what ingredients to use in place of bananas for those of you who are not the biggest banana enthusiast to how long to soak nuts for homemade nut milks. I was sincerely amazed at how useful every page of this book was. I also loved how every recipe, even the desserts (yes, there is a incredible dessert section) was made with healthy, wholesome ingredients that I could feel awesome about feeding to my family. I made multiple recipes out of Simple Green Smoothies and every single one came out delicious, healthy, and easy to make thanks to clear directions, and smooooottthhhee. While I find it near impossible to select a favorite smoothie recipe to share with you guys, there is one recipe from Simple Green Smoothies that will not only make you fall head-over-heels in love with green smoothies, but is also the very first recipe in Jen and Jadah’s 10-Day Kick Start smoothie guide (another wonderful section in the book for those who are trying to get themselves into the smoothie habit). Ladies and gentlemen, boys and girls, may I introduce you to Beginner’s Luck. 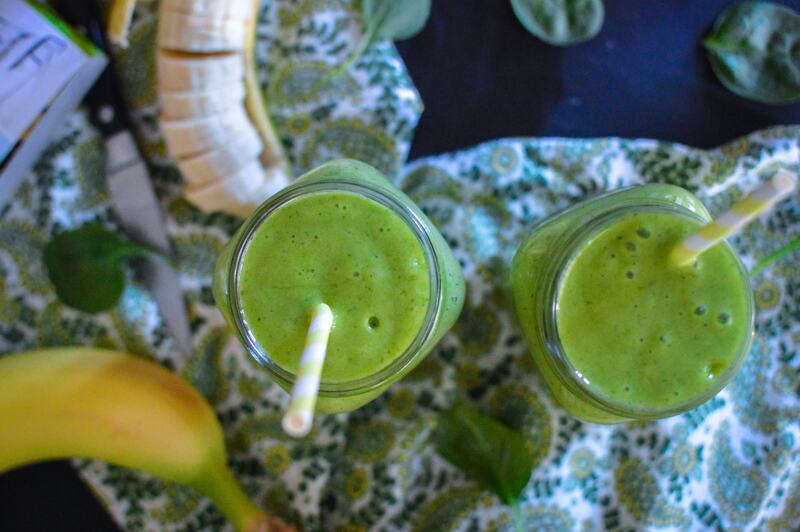 Beginner’s Luck, in my opinion, is the quintessential green smoothie recipe we all should have. It’s loaded with lots of green goodness thanks to tons of spinach, but it is also so sweet and tasty that even then most veggie-resistant of people (old or young) will be drinking this down by the blenderfuls. Taesha is a mother and teacher with a passion for healthy living. 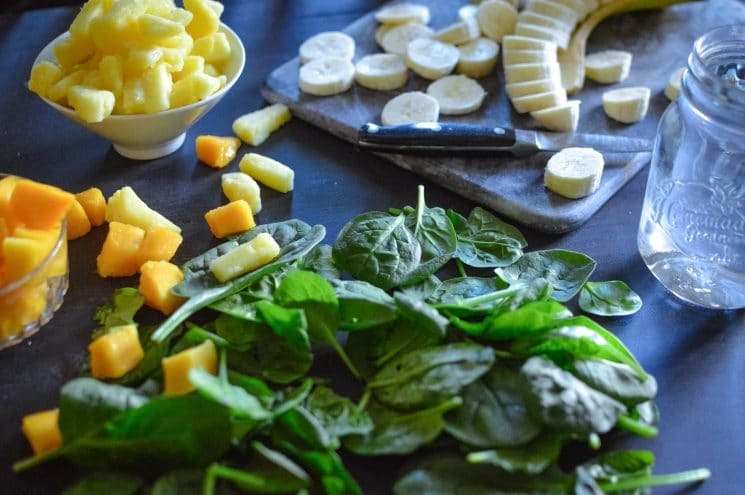 Through her site, The Natural Nurturer, Taesha aims to inspire parents and caregivers with ideas and easy wholesome recipes that are family friendly. 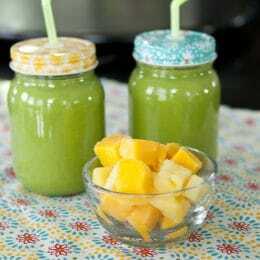 In a blender combine water and spinach. Blend until smooth and an even consistency. Add remaining ingredients to the blender and run until smooth.